The decision to begin Koi pond construction is the first decision, but far from the last. One of the most important decisions is to recognize the difference between a Koi pond and a garden pond. It isn’t complicated, just a bit different. 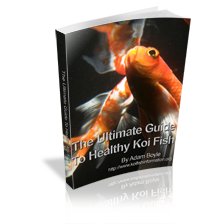 Koi are fast growing fish and they will produce a lot of waste. You will need to provide an environment that will keep a large volume of water clean. Oxygenation is also a consideration. Building a Koi pond will require more space and more equipment than a garden pond. You will need a good water supply, drainage, electricity, filtration and water treatment tools. There are a lot of decisions to make before you begin your Koi pond construction. Choosing a good location for your Koi pond construction is first on your list. You should probably choose a place that is visible year round. It will give you the opportunity to enjoy your fish every day. Check with the utility companies to be sure that you are not digging in an area that will disrupt electricity, gas, water or telephone. You will need a large enough area to act as a drainage area for wastewater. If you are planning to use heavy equipment to dig your pond, be sure the equipment can easily get to the site. What type of construction will you choose? The larger the pond, the larger number of fish you can have. Professional Koi breeders will build a concrete pond. The hobbyist will probably start with a rubber lining for their Koi pond construction. Make the pond as large as you can. A 2000-gallon pond will accommodate about twenty Koi. With that number you will need a very strong pump and filtration and aeration system. A Koi pond should be about four feet deep. Koi swim up and down as well as back and forth. Having at least four feet of depth will help keep predators out of the pond. Raccoons, blue herons and other predators love Koi. If there is a large predatory bird population in your area, you may benefit from netting over the pond. It is best not to put goldfish into your Koi pond. Goldfish reproduce quickly and can increase the need for maintenance of your pond. If you want a goldfish pond, you do not need the special features of a Koi pond. 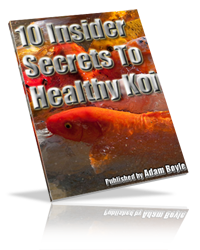 Do not start your Koi pond construction in an area that is in direct sunlight the entire day. Koi need protection from direct sun. Plants and plant stands or drain tiles will give them some shelter. Your pump, filter and UV sterilizer will be your best tools to keep your pond in good shape for your pet fish. If you cut costs in this area, you will find it much more expensive than the initial investment. You will get what you pay for. The pump should have the capacity to handle all of the water in the pond every two hours. The correct size filter will not have to be cleaned as often as one that is too small for your pond. The extra work the pump will have to do if it is too small will cause it to wear out as well. Koi ponds in very cold areas need to take precautions in winter. There are Koi pond heaters available that will keep the water in the 50-degree range, which is preferable. When the water goes below 50 degrees the Koi will not eat. When they do not eat, they do not grow. Another option is a fifty-gallon drum that you place in the pond to keep that part of the pond from freezing. The use of a protein skimmer will prevent the foam that arises at the base of your fountain or your waterfall. It is not a necessity, but does increase the aesthetic value of your Koi pond. It will be necessary to replace between five and ten percent of your water every week. This will help keep the water fresh and avoid the excessive buildup of organic waste products. Do not chlorinate your water. It will kill your Koi. Monitor the pH, nitrite and ammonia levels in your pond. All of them can kill your fish. Over feeding will cause imbalance in your pond and will allow harmful waste to accumulate. Do not over feed and do not over crowd your Koi pond. Good luck with your Koi pond construction. With vigilance, your Koi will live for many years.